PADI Five Star Instructor Development Centre, Poni Divers, based in Serasa Beach, Brunei, excitingly certified Andrew Mead as a Junior Master Scuba Diver on the 15th of November 2016. At just 12 years of age, Andrew is Brunei’s youngest Junior Master Scuba Diver. “Brunei is a fun place to dive because of the nice wrecks, warm water, good visibility and lots of marine life and seahorses”, says Andrew. Junior Master Scuba Diver is the highest PADI certification possible for divers under the age of 18. 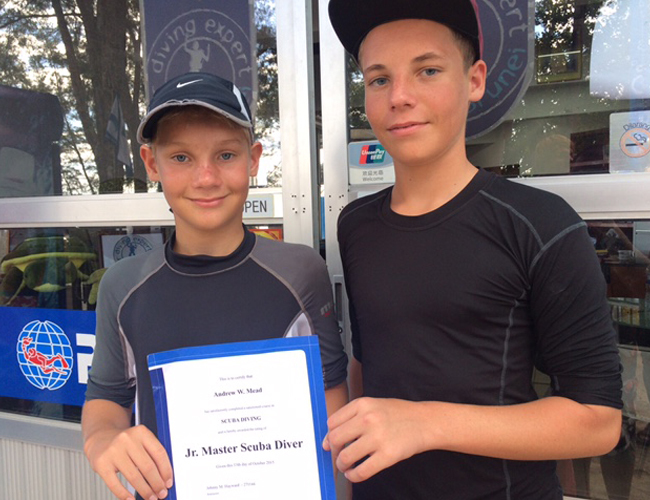 Andrew is just one of two people in Brunei to have reached Junior Master Scuba Diver – the first being his brother, Simon. Andrew with his brother Simon, Brunei’s first Junior Open Water Diver. Andrew has dived with his family in various countries, including Brunei, Indonesia, Malaysia, Philippines, Thailand and Malta. His favourite PADI course was the Manta Ray specialty because Manta Rays are his favourite marine animal. Colin and Sue love the fact their boys have developed a strong interest in marine conservation, “PADI training has given both boys a great awareness in preservation of our reefs and oceans, and we have participated and been certified in reef cleaning operations”, says Sue. 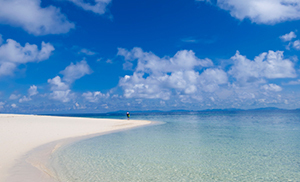 Diving in Brunei is becoming increasingly popular. Johnny says the best part of diving in Brunei is the incredible biodiversity, macro dives and wrecks. “We have over 30 shipwrecks in Brunei ranging from small barges to 90m long WW2 wrecks – it’s a wreck diver’s paradise!” Depths range from 8 metres, suitable for Open Water Divers, to 70 metres for Tec Divers. 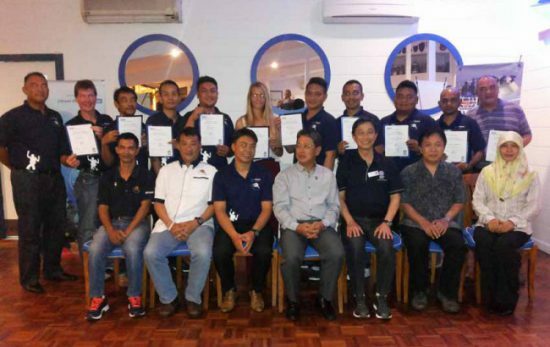 The future is looking bright for Poni Divers, having received their PADI 5 Star Instructor Development Centre accreditation in November and recently running Brunei’s biggest ever Instructor Development Course which had 15 Instructor Candidates from Thailand, America, UK, Malaysia and Brunei. “Next year we are planning on promoting our PADI Go Pro Program and upgrading to a PADI TecRec Centre to make the most of the fantastic WWII wrecks in Brunei,” says Johnny. As for the Mead family, they are looking forward to their future dives together in Brunei and planning future diving holidays in the Maldives and Micronesia – the boys are particularly excited to visit some WWII wrecks and dive with Mola Mola and Hammerhead sharks. 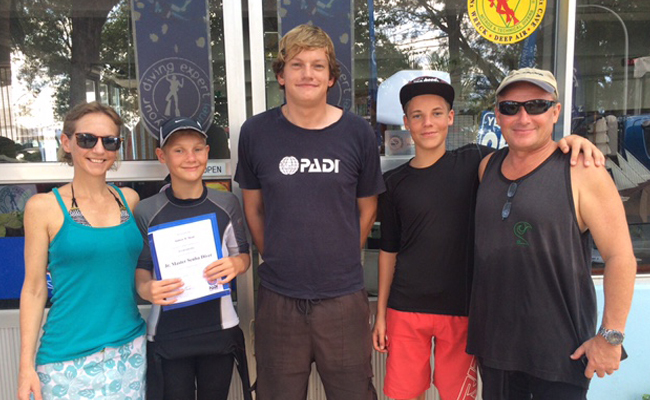 The Mead Family with PADI Master Instructor Johnny Hayward.